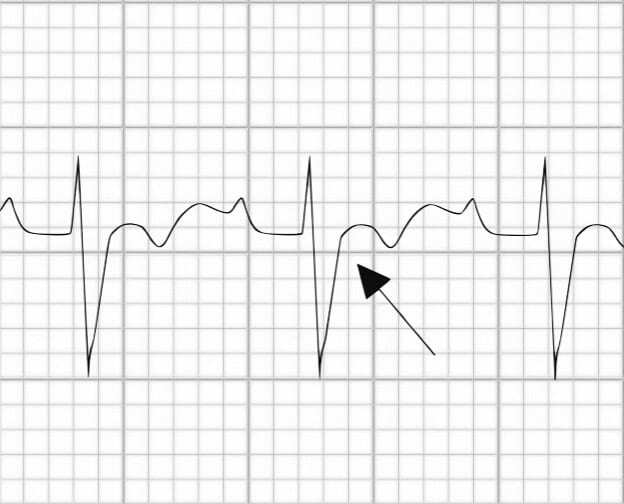 The epsilon wave is a small positive deflection (‘blip’) buried in the end of the QRS complex. 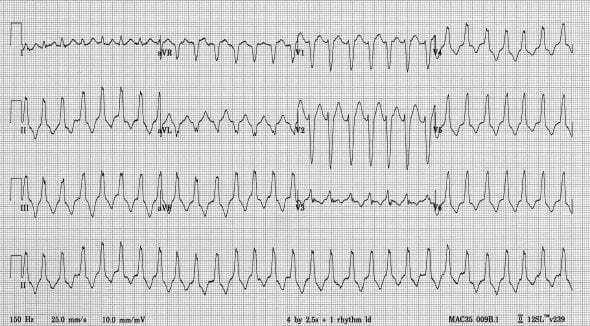 It is the characteristic finding in arrhythmogenic right ventricular dysplasia (ARVD). 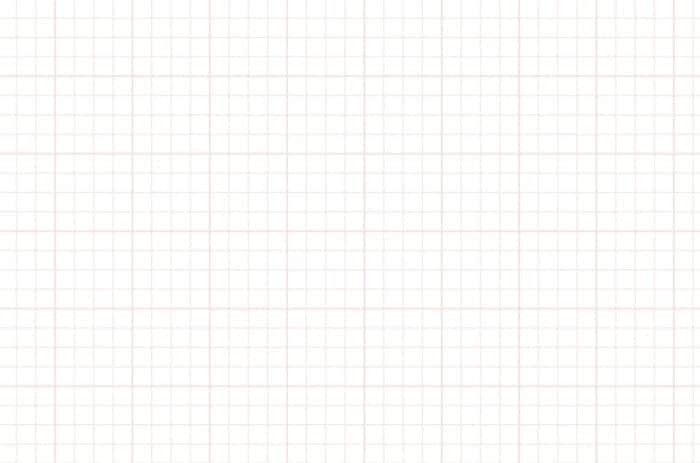 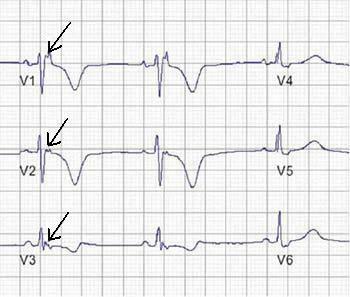 12-lead ECG is a typical example of ARVD. 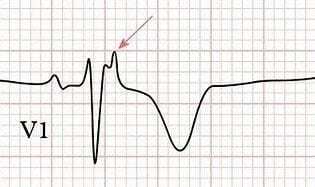 Perez Diez D, Brugada J. 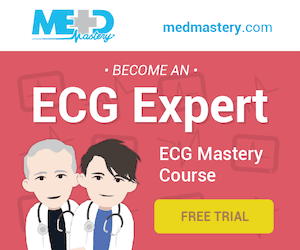 Diagnosis and Management of Arrhythmogenic Right Ventricular Dysplasia: An article from the E-Journal of the ESC Council for Cardiology Practice, European Society of Cardiology 2008.